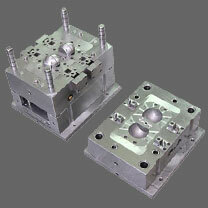 Home » FAQ » How to be a World Class injection mold company? That's an interesting phrasing -- "world class". I think it's important to understand the fracturing of the injection molding industry from a global perspective. From speaking with several injection molding companies at the Del Mar Electronics Design Show in San Diego a few weeks ago, it seems that "world class" means different things to different customers. In their opinion, American mold manufacturers are going to need to focus on inherent strengths to complete. "Cheap toy plastic manufacturing is not coming back to America. But we can beat the pants off of overseas groups when it comes to applying manufacturing intelligence, turnaround time, quality, oversight, and transparency." -- One injection molding company president I spoke with at the Del Mar Electronics Design Show. So, from the manufacturer's perspective: they need to be responsive, fast, and demonstrate their manufacturing expertise immediately. Turn-around time for small-to-medium orders should be really, really, fast. Simplicity -- no customs, no overseas shipping. Provide as much advice and expertise to their designs that will ease the manufacturing process. Production molds are usually built to last a long life with high quality steel and mold components view more plastic parts 50-800 Ton thermoplastic injection molding along with secondary operation services view. Mold price is unlikely to be a major sales point, but total cost (overseas shipping, extra lead time, excise tax, risk to product, etc.) brings the conversation back to favoring local mold suppliers.